was formed in the year 2007 by Mr. K. N. Surendra with his vast knowledge and expertise in plotted development in Bangalore real estate sector with objective of developing and adopting world-class quality at truly affordable prices with persistent focus on timely delivery. The company has diligently built a credible reputation for identifying and developing properties as its main focus in the real estate sector across Bangalore. Having aggregated and developed large land holdings into luxurious residential layouts with ‘value-for-money’ and “transparency’ in all spheres of business. Our residential projects include presidential plotted development with best landscaped gardens and foremost amenities. We strongly emphasize on environmental management, rain water harvesting and high safety standards in all our residential projects. 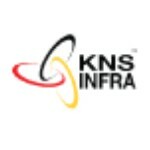 KNS Infrastructure remains committed to delivering world-class projects empowered by a team of highly committed and skilled resources using state-of-the-art technology. It has successfully completed 10 plotted development projects covering around 7.2 million square feet of plotted area and 5 ongoing projects with around 3 million square feet of plotted area at Mysore road, Electronic city & Sajapura. It has 13 upcoming projects with around 5.2 million square feet of plotted area. KNS Infrastructure has made a footprint in Bangalore west for its plotted development and its spreading across other parts of Bangalore.